Many people have a soft spot for butterflies, for unlike many insects they’re colourfully attractive creatures that do little harm to man’s interests. Indeed, who can fail to be impressed by the first butterflies of the year, those that over-winter as adults and emerge on warm January and February days as welcome heralds of the spring? Then in April, bright yellow brimstones and gaudy peacocks fly amongst carpets of bluebells, adding a splash of colour and contrast to the woodland greens and blues. In July, silver-washed fritillaries fly powerfully along New Forest woodland rides, stopping every so often to gorge on nectar from the bramble blossoms, keeping company with small skippers, large skippers, gatekeepers, ringlets, meadow browns, and the first, second generation brimstones. At around the same time on the summer heaths, countless thousands of tiny silver-studded blues flit above the heather, after in their early life stages living in harmony with attendant ants. And later in that same month, graylings start to appear on the heaths before their main, slightly later, emergence. Consider also the miracle of butterfly migration, the staggering annual journeys completed by painted ladies and clouded yellows, fragile visitors each year to Britain, insects that cross the seas from mainland Europe to grace our shores. Yes, butterflies are fascinating, beautiful creatures that have the potential to make even the dullest heart leap, to reinforce again and again the glories of nature. 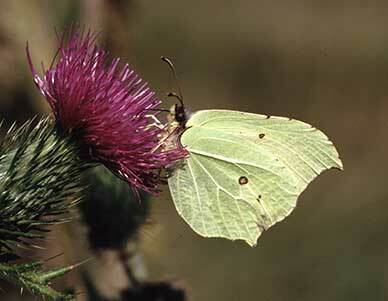 Here in the New Forest, butterfly enthusiast and casual observer alike will find much to please. And never mind that past commercial forestry activities, misguided bramble removal programmes and access to the inclosures by commoners’ stock have substantially reduced numbers and variety compared to the truly outstanding days of the late 19th century, and the still-impressive years of the first half of the 20th century. Lessons have been learnt, and in recent years forestry activities have been more sympathetic to wildlife generally and butterflies in particular, whilst a number of New Forest Keepers take a special interest in the butterflies on their patch, and manage habitats accordingly. Today, of the 60 or so resident and regular migrant species found in Britain, almost 40 occur in the New Forest. Some are widespread and abundant, others relatively scarce and unlikely to be encountered without a diligent search. Some are particularly associated with the heathlands, others with the broad-leaved forestry inclosures. Smaller numbers can be seen in the ancient, unenclosed woodlands, whilst even the wetter areas of valley mire attract over-flying individuals. There are some real beauties, too, stunning creatures such as the white admiral, green hairstreak and marbled white; and a variety of rarities, or at least species that are relatively scarce in many places elsewhere. Look out in particular for those heathland silver-studded blues and in the woods for pearl-bordered fritillaries and small pearl-bordered fritillaries. Enjoy the sight of all of them, and maybe take the time to discover something of their often fascinating lives.